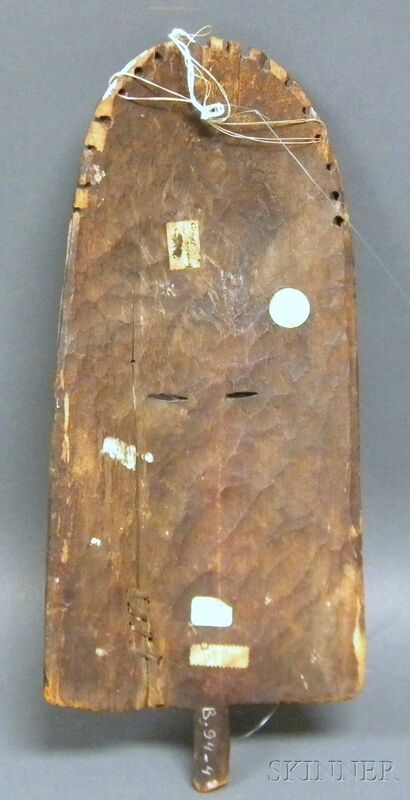 Rare African Carved Wood Mask, Mbole, the shield-like form with slightly concave back, narrow pierced eyes under concave arched brows, narrow nose with central indentation, the forehead with grooved and painted stripes, remnant white pigment and pyro-engraved details, handle from the bottom, old repair, old tags on reverse, ht. 14 in. 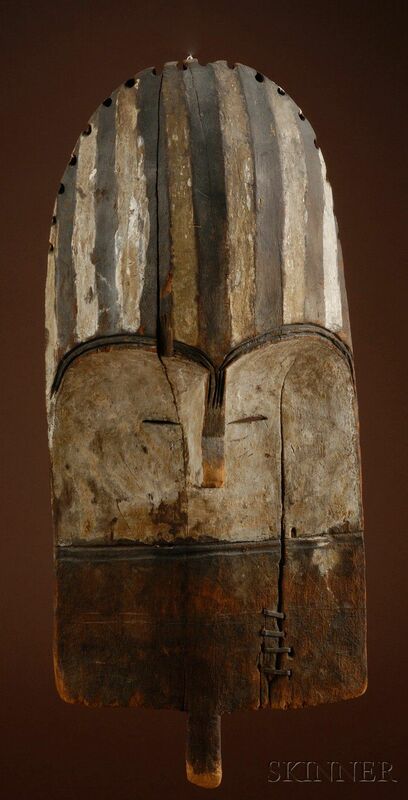 Literature: Illustrated in Masks of Black Africa, by Ladislas Segy, figure 236, Face of the Spirits, editor Herreman, Petridas, 1994, pp. 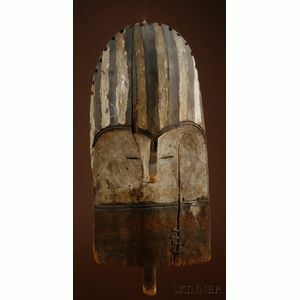 206-209, Traditional Arts and History of Zaire, Francois Neyt, pp. 26, 27, 31.